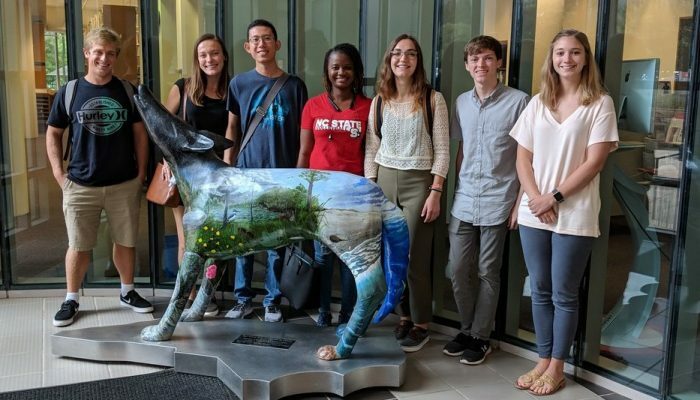 We aim to provide a bridge between knowledge and action: The Climate Change & Society (CCS) program at North Carolina State University is designed to give students an appropriate background in climate change science and its implications for society to support the development of informed policy and business decisions. 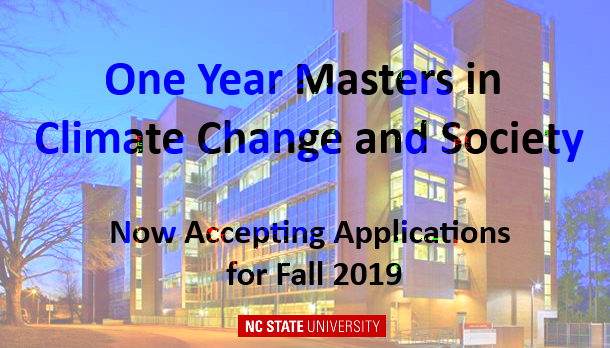 We offer a 1-year Master’s Degree and a 4-class Climate Adaptation Certificate. 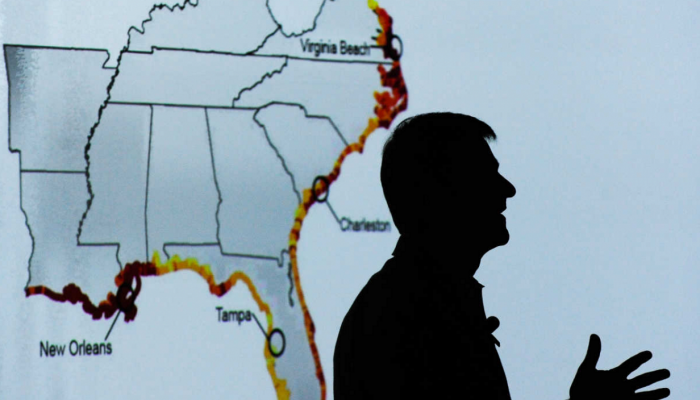 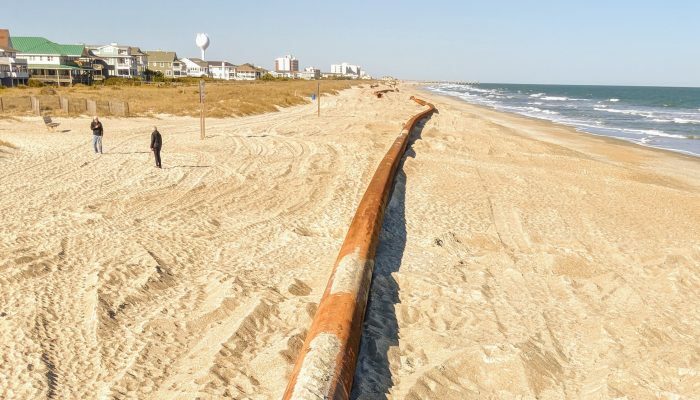 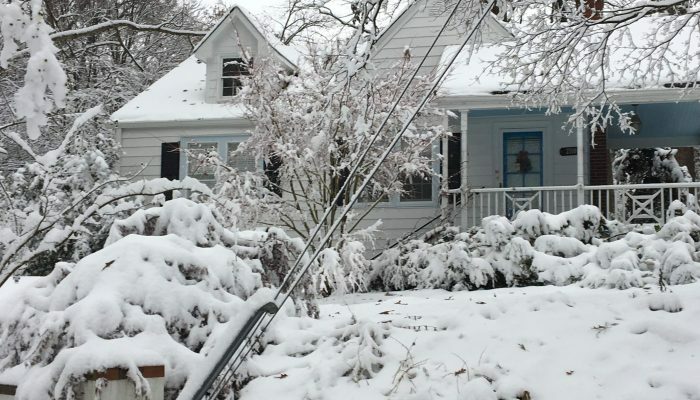 “In the fight for a better future, in an era of media silos and predatory delay, effective messaging on climate is essential, and NC State’s program is uniquely geared towards preparing students for that effort.” – Carl Parker, hurricane expert at the Weather Channel and current student in the Climate Adaptation Certificate Program. 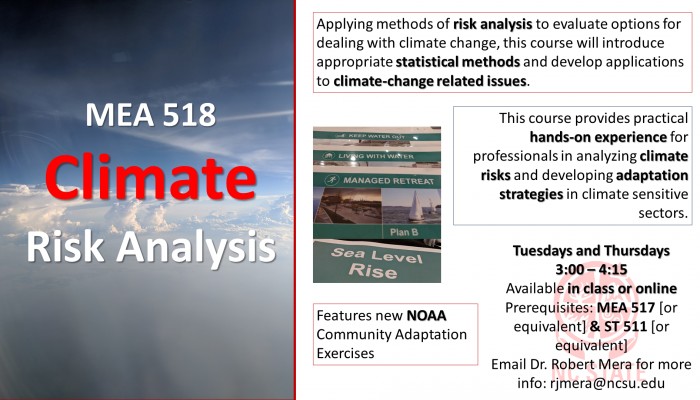 “The effective blend of technical and applied courses, along with the invaluable capstone project, are unique characteristics that set this program aside from others.” Leah Kos, Masters program alumni, formerly a Climate Assessment Specialist for the Southern Climate Impacts Planning Program, a NOAA RISA program, at the University of Oklahoma.